After months of criticism regarding the high $500 price tag of Microsoft’s Xbox One console, rumors of a Kinect-less Xbox One, and cries for a reduced price that doesn’t feature a Kinect, Microsoft has finally announced just that: a $400 Xbox One without Kinect. This comes after a string of strategy changes since the console’s unveiling last year including the loss of an all-digital future (decried by fans for its tough DRM policy) and a “refocusing” on games compared to the all-in-one media center it was initially marketed as. While this move has been requested by critics and fans alike for months, it hurts Microsoft more than anything by getting rid of a distinguishing feature and effectively destroying a feature that pushed consoles forward. Microsoft did not have to go down this path – it could have preserved the future it envisioned with time through stronger software or by accepting a loss. The biggest selling point of the Xbox One and the thing all of my friends love to show off first is the voice controls that require Kinect (as of today). There is nothing like walking into your living room, saying, “Xbox On,” and having your console come to life with TV and greeting you. Sure, the last bit was slightly creepy, but it was cool and futuristic much like the rest of the voice controls. The entire UI was built with voice controls in mind – from navigation to pausing videos to recording game clips. In fact, many of the UI elements are extremely difficult to find without voice commands such as the options menu. The voice controls weren’t perfect and it was slightly embarrassing when the Xbox didn’t listen to your commands or executed something completely different, but it felt like a game changer. With a few updates and tweaks, the voice controls and the integration of the system as a media hub would have been something the previous console generation could never do. Heck, the majority of electronics cannot listen to your commands on cue and execute tasks via voice only unless we want to talk about the Moto X with active voice and Tasker automation. Now with some console owners having a Kinect and others without, it is very likely that Microsoft will not put as much of its development resources into improving the Kinect, effectively destroying a future of voice controlled media. There’s no denying how useful it is to say, “Xbox, pause,” and having it pause your Netflix movie for a phone call. It is much easier than looking for the controller, turning it on (I don’t know about you, but I have mine to set to turn off automatically after a period of time), and pressing a button. Having similar capabilities for anything media related, including Skype phone calls, is the future and Microsoft was pioneering that future. That future is further from reality at this point since Microsoft and app and game developers cannot depend on the entire console population owning a Kinect. When faced with the dilemma of what to develop, most go with the lowest common denominator. Some developers will be brave enough to create a game with Kinect in mind, but we’ve already seen how this played out on the Xbox 360 where the Kinect was an optional accessory – no one made anything good for it. The saddest part about this is that, much like the digital future Microsoft envisioned and soon nixed after fan backlash, Microsoft is prematurely reacting to the market instead of sticking to its guns – something they could have done. First, the last I checked, Microsoft is not exactly strapped for cash and it’s not like the Xbox One is selling poorly. Yes, Sony’s PlayStation 4 is selling more, selling the most consoles again in April in the U.S., but both consoles are selling well – as of the end of March, the PlayStation 4 had sold over 7 million consoles with the Xbox One having shipped 5 million. What the Xbox One is missing, and I argue the PlayStation 4 as well, is GAMES. Much like any console launch, it’s hard for gamers to justify a $400-$500 purchase for “last gen” games with a face lift; an especially harder sell when the Xbox One is lagging behind the PlayStation 4 in just about every multiplatform game in terms of graphics and frame rate. Given time, both consoles would have a stronger library that would entice gamers to make the jump to the new generation of consoles. Heck, Microsoft could more than likely afforded to take a loss by simply reducing the console with Kinect to $400 if they truly believed in a Kinect future. I don’t believe the issue was black and white between Kinect and no Kinect, just as how I saw Microsoft’s position on the all-digital future as all-in or back-to-physical. Instead, Microsoft buckled under the criticism. It’s not a bad thing for companies to change their strategy after hearing what fans have to say. 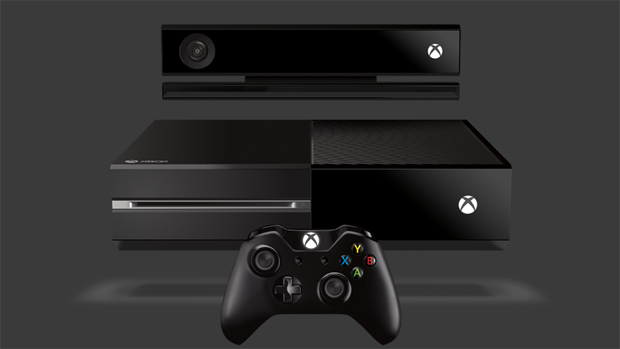 However, too many companies and Microsoft in particular with the Xbox One are reacting over the slightly criticisms. A connected world means companies are more in touch with their fans than ever before. This does not mean the fans are right though. As Steve Jobs once said, “It’s really hard to design products by focus groups. A lot of times, people don’t know what they want until you show it to them.” Microsoft showed us a version of their future and fans didn’t like it. So what? Listen to some of the criticisms and show them a tweaked future that they never thought of. Sometimes companies need to stick to their guns and weather the storm – Microsoft is too afraid of the competition to take this risk. Xbox One vs. PlayStation 4, Zune vs. iPod, desktop vs. mobile… It’s a story that keeps repeating and this lack of risk and innovation is likely why Microsoft, despite its profits, is not Apple or Google today. Whether or not this move to give gamers more “choices” when deciding to buy an Xbox will convert into sales for Microsoft or if this only created more animosity and distrust in the community has yet to be seen since the Kinect-less SKU won’t even be available until June. Regardless, as The Verge puts it, the Xbox One is now just another game console and simply has no vision beyond what gamers are saying. And that, ladies and gentlemen, is the worst part about this for gamers – it’s a step back into the familiar. I highly encourage you to read this article, which has a similar message.